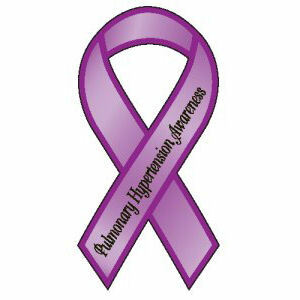 What is Pulmonary Hypertension and how does it effect you? Pulmonary hypertension is a rare lung disorder in which the arteries that carry blood from the heart to the lungs become narrowed, making it difficult for blood to flow through the vessels. As a result, the blood pressure in these arteries — called pulmonary arteries — rises far above normal levels. This abnormally high pressure strains the right ventricle of the heart, causing it to expand in size. Overworked and enlarged, the right ventricle gradually becomes weaker and loses its ability to pump enough blood to the lungs. This could lead to the development of right heart failure. It effects me by making me short of breath in basic physical activities, weakening my heart and generally shortening my life. I am very lucky though as my extensive drug regimen combined with acupuncture and the fact that I was young and healthy before my diagnosis has made my life as close to normal as possible. Many with my disease have it much worse than me. Currently, my biggest problems are the inability to be active as I once was, being unable to have more children, the financial strain and the general emotional strain of living with the threat of your potential death. How long do you have to live? Who knows? The original doctors told me 2-3 years from diagnosis but that is no longer true. In the past 10 years leaps and bounds have have been made in the treatments for PH. Now there are people living 10-12 years on my drugs (it could be longer but the drugs haven’t been around long enough to know that yet). I figure, if you give me 10-12 years, what will they have come up with by then? What can I do to help? First of all, how cute are you? Thank you. Secondly, I’d say visit the pulmonary hypertension website www.phassociation.org and find out more. Or donate to research. More and more young people are getting this disease. Particularly young women and we can’t have all these kids losing their moms. We need a cure. 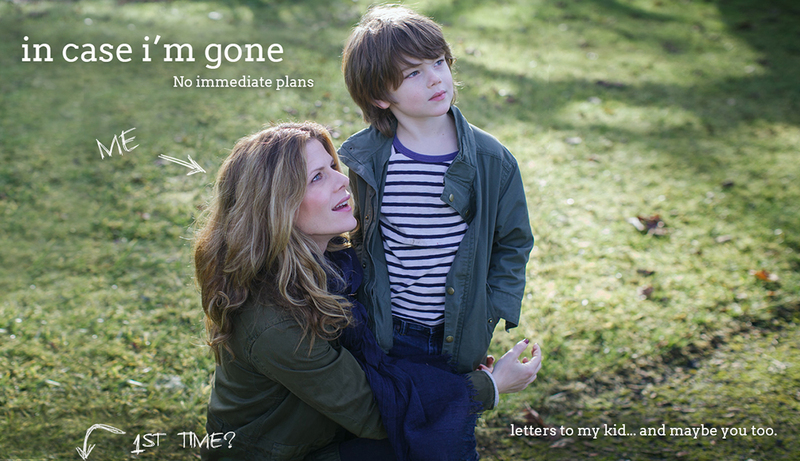 Why write the letters to Lochlan in a blog form? I asked myself the same question. I had planned to do the letters as a book but a media savvy friend suggested I do a blog instead. I liked the idea of my work actually existing somewhere other than my own head or computer. I wanted it to feel “real” and not just like my own personal journal. Also doing it on line makes me accountable to something and I think I need that in my life. Why did you move to LA? For love…sigh. Well, actually I arrived via NYC with an off Broadway play that was doing really well. I thought I’d give LA a 6 month go. I met Sean in month one (he was in the audience!) and I never went back. I still miss NYC and I am no longer an actress but I definitely made the right decision. What is Lochlan like? He is a hoot! The product of 2 actors, the kid is a ham and a half. Speaking since before he could crawl he is a constant source of entertainment and folly. He’s also a really sweet kid. Very empathetic and polite. And finally, he’s in love with girls. 4 and a half and already crazy about the dames! What has your husband been in that I might have seen? Sean’s been working in LA consistently since he graduated CalArts over 10 years ago. For an LA actor that’s actually saying something. He still needs that etherial “big break” but he’s had so many close calls that it has to be his time soon…Please. Please Acting God’s please! You might have seen him on Star Trek “Enterprise” he was on it for about a year, “24”, “CSI”… He’s been all over. Lately he’s been doing a lot of films. He had one at the Cannes Film Festival this year and one at Tribeca. The most commercial thing you’d probably have seen him in is as Stefan Bekowsky in Rockstar Games most recent and ambitious video game “LA NOIRE”.